“Prison doesn’t work for everyone,” Chef Jeff Henderson likes to say. 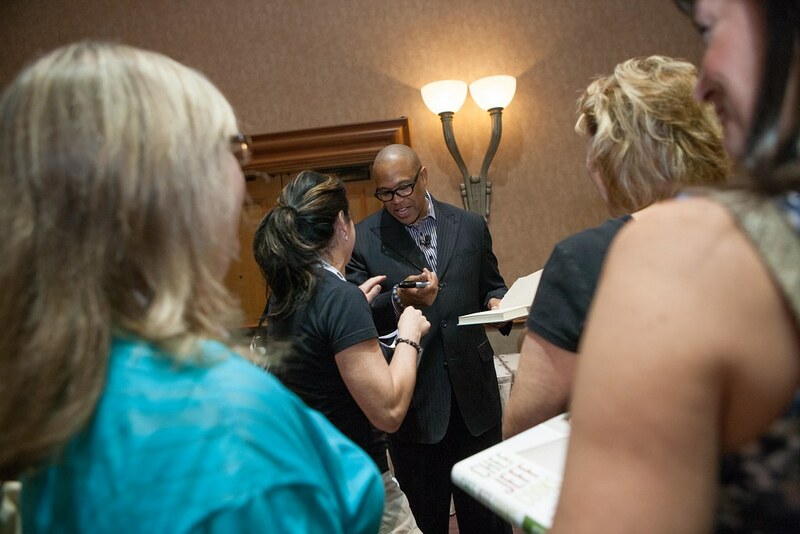 “But it worked for me.” Henderson shared his inspirational story during the Lifestyle Session on Monday morning at NECA 2012 Las Vegas to about 200 people. Born in Los Angeles to a single mother, Henderson was a drug dealer and went to prison at the age of 24. It was while he was sulking away in prison that his true calling in life was revealed to him. It wasn’t on the streets – it was in the kitchen. 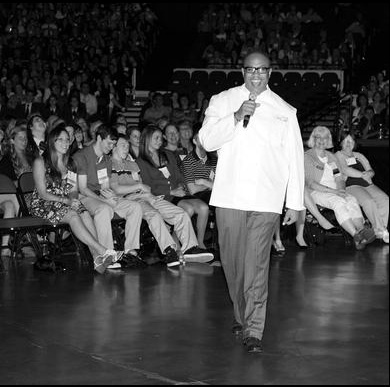 “I discovered my gift in prison … once you know who you are, you can become anything you want to be,” he said. 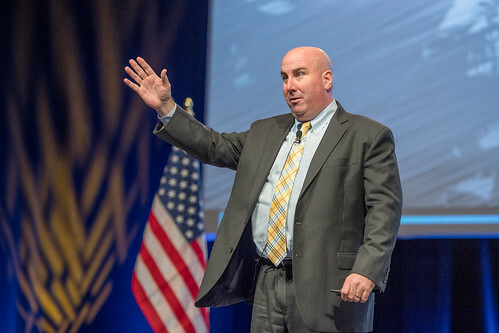 His talk, a high-energy mix of inspiration and business principles, emphasized the realizing the power of potential. Henderson is undoubtedly a commanding presence and was alternately funny and poignant in his portrayal of a life, once lost, and now found. Henderson is a best-selling author and continues to cook as the star of “The Chef Jeff Project” on Food Network. But he isn’t only passionate about food; he’s passionate about reaching out to young people who might be facing the same issues he did. He knows that he can help them out – because he was them. When you think about San Diego, you undoubtedly think of three things – sun, surf and the animals of the San Diego Zoo. And in lots of circles, Joan Embery is the San Diego Zoo. That’s why when she joined us for our lifestyle session, “A Walk on the Wild Side”, on Monday morning at NECA 2011 San Diego, she had the crowd enthralled with not only her life story, but also the 20-plus animals she brought with her. A native of San Diego, Embery always wanted to do something with animals. After graduating from high school in 1968, she realized that there were no women working with animals – a glass ceiling that was entrenched in conservation programs and zoos all over the world. After several years of hard work, including a special relationship with a star elephant named Carol, it’s safe to say that was a ceiling she shattered. After racking up more than 100 appearances on The Tonight Show (the second most in Tonight Show history), it’s easy to realize that she’s achieved everything she’s set out to accomplish. The real stars of her show in the minds of NECA attendees, from aardvarks and armadillos to snakes and sloths and everything in between, held the audience captive for more than 90 minutes. As smart as she is funny, her care for animals is unparalleled. Watching her during the session, the audience could help but come away with the feeling that they really learned more about a San Diego legend. Joan’s warm demeanor and truly entertaining show was absolutely an asset to this year’s NECA show.